The book focuses mostly on the few moments Ms. Mock spent on the ground between flights, and the often frustrating bureaucracy regarding customs, maintenance, and even re-fueling in certain parts of the world. It is a fascinating look into the history of aviation and navigation, but also into the role of women in modern society. 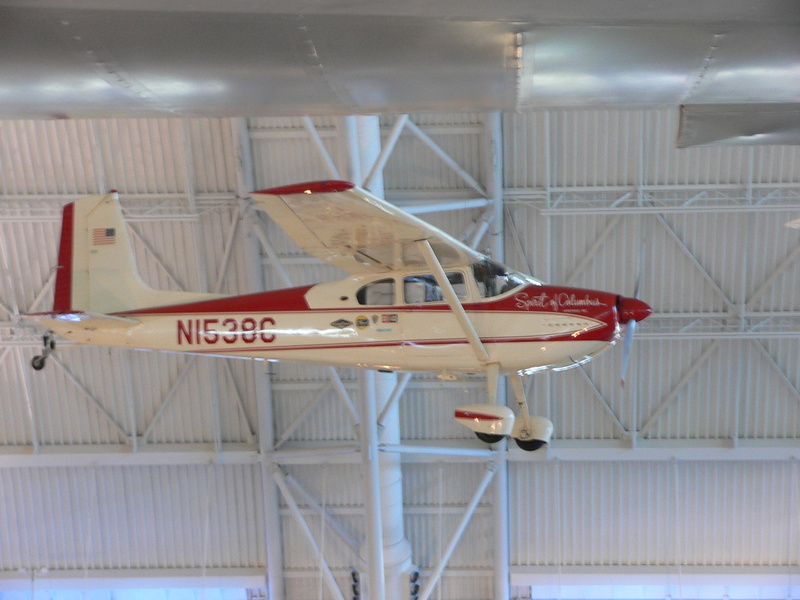 Her airplane, capable and well-equipped for the time, is relatively primitive compared to the Cirrus. The modern aircraft would likely not use any of the navigation equipment available to Ms. Mock, as even the state of the art back then is being phased out today. There seemed to be very few problems along her journey, even considering factors such as weather, performance, and fuel management. Her descriptions of the flights themselves are rather sparse, but, to be fair, flying around the world alone at 180 knots was probably a bit boring. And it was good to be boring. As the pilot of the Cirrus knows all-too-well, flying can become not-boring very quickly and, without a plane-saving parachute and a pilot saving cruise ship, Ms. Mock might not have been so lucky had she faced a similar emergency. Is this evidence that we should install parachutes in all planes moving forward? Maybe. According to Cirrus Design Corp the parachute has been successfully deployed about 50 times in the last 15 years, and saved more than 100 lives. But there are also cases that the chute has been deployed outside of its operating envelope and thus was unsuccessful. The basic point is that the chute should be deployed prior to complete loss-of-control. I’m not convinced that moving aviation in the direction of rescue parachutes, digital displays, and simplified power controls as found on the Cirrus is actually a good thing for pilots. We would all be well-served to keep groundbreaking pilots like Jerrie Mock and her trusty, “primitive”, Cessna 180 in mind so we never become complacent in the apparent safety all our new technology provides. This entry was posted in Aviation in the News and tagged airplane, aviation, book, cessna, Cirrus, crash, parachute, safety by brianranes. Bookmark the permalink.